Welcome to the sweet November, the season of senses. When the weather pushes you to seek shelter in the warmth of your home, it’s nice to fill your hours with something meaningful. Without any further delays, we present you the EnergyCasino premieres for November. Our biggest release is the world-famous Bonanza slot from Big Time Gaming. 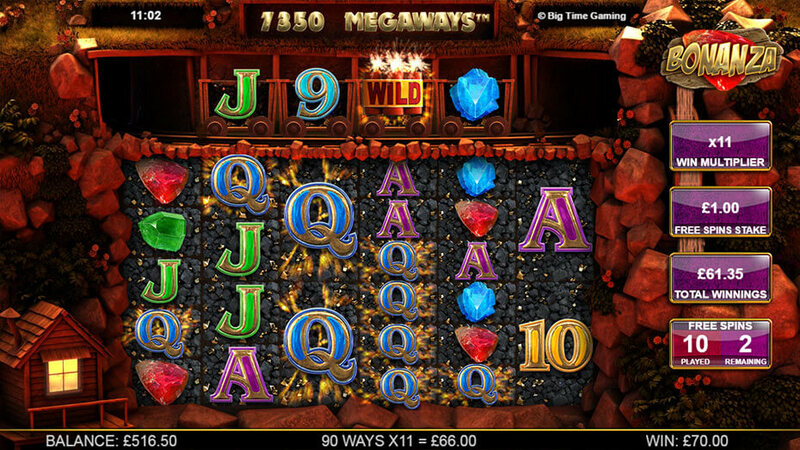 This highly volatile slot is based on the Megaways game engine, and this means you can activate up to an astonishing 117,649 pay lines. You can place your bet anywhere between 20p and £500 and you have the possibility of winning up to 10,000 times your stake. Bonanza takes us to a gold mine located in a lovely countryside. Above the reels, you’ll see an old-fashioned mining cart that carries 4 symbols. This happens on every spin and increases your winning opportunities. Every symbol that is involved in a winning combination will explode making room for new symbols to form new winning combinations. This goes on as long as you keep winning. The heart and soul of the game is the free spins feature, where every time you get a consecutive win, the multiplier is increased by a factor of one. Land some early wins and the multiplier can really get going towards the end of the feature, making your winnings will be huge. But what if you are more into general knowledge than engineering? If your favourite TV program is Who Wants to Be A Millionaire, we have something special for you – Big Time Gaming is turning this beloved show into the greatest online gaming release of all times! Will the 50/50, ask the audience, or call a friend, help to win the million? Challenge yourself at this most entertaining slot, boosted by the Megaways game engine and win a million! The New Play’n GO Slots Became Even Better! Play‘n GO slots are always packed with high-end graphics and attention to details. The new project takes us to a faraway fantasy land filled with heroes, magic rings and mystic dragons! 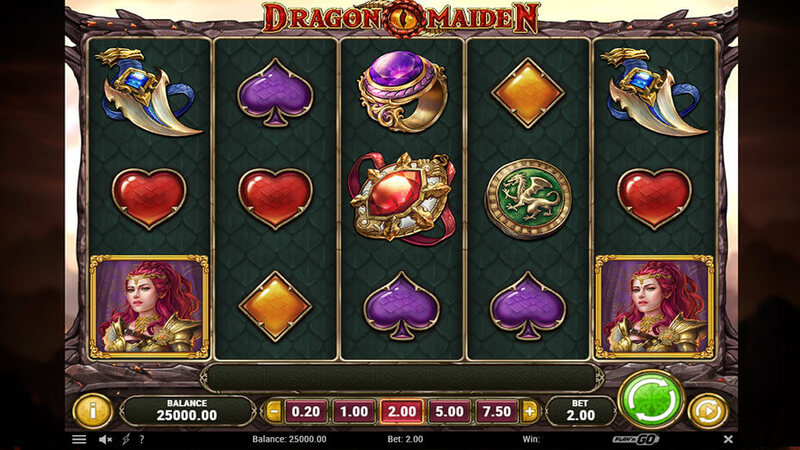 The Dragon Maiden slot has 5 reels and 3 rows, where the symbols can become Wild with the chance to expand up to 3 symbols high. The Dragon scatters award you Respins and free spins. Dragon Scatters during the Free Spins game increase the height of the reel they land on up to 6 symbols high. When a reel reaches 6 symbols you are awarded a Golden Free Spins, which increase the winning ways up to 7,776! Dragon Maiden symbols can become Wild with the chance to expand up to 3 symbols high, thus multiplying your bet up to 5,000x. Get ready to hear the Dragon’s scream in this game as it can make you rich. 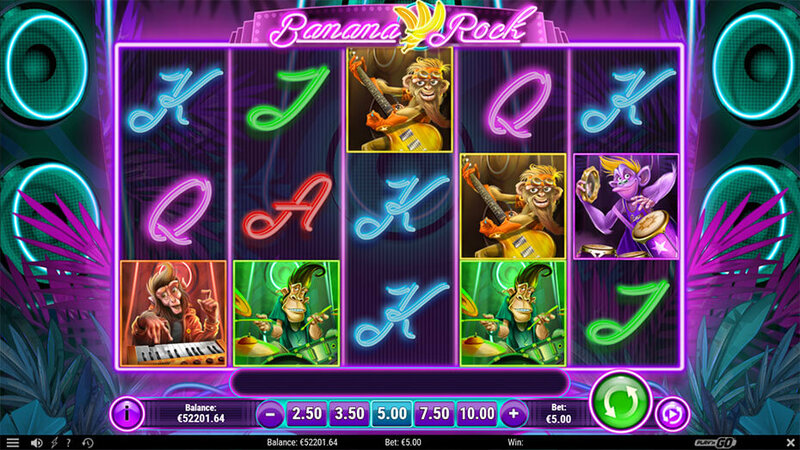 There’s another Play’n Go slot coming under the spotlights – Banana Rock. It’s based on a rock band of monkeys, which come to town to play a gig at a local venue. Benefit from respins with Rock ‘N’ Rollin’ wilds locked in place, moving only to connect with other wilds to give you a trail of wilds. There’s also a Free Spins feature where you collect band members to add multipliers up to 5x. Finally, there’s an Encore Spin feature which guarantees you a win with only band member symbols and multipliers up to 25x! NetEnt got us used to very loud productions. NetEnt last gig brings us the brutal Viking period where warriors had to use their wits to survive and were answerable only to the gods. 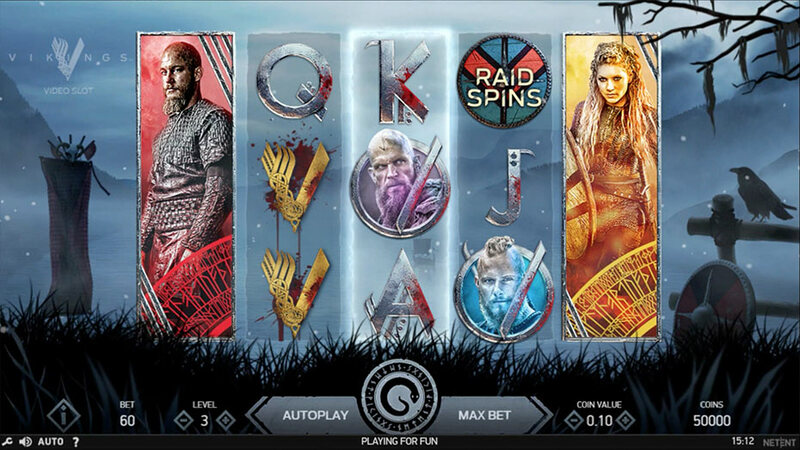 Based on the TV series, this video slot has 243 bet ways and packs a Hotspot Feature, a Shield Wall Feature, and a Raid Spins mode, including 3 Hotspots. Additionally, on the Raid Spins the excitement gets ramped up even more with the game changing to a 7-reel, 5-row and 78,125 bet ways reel battleground. Is the way to Valhalla through this NetEnt slot? 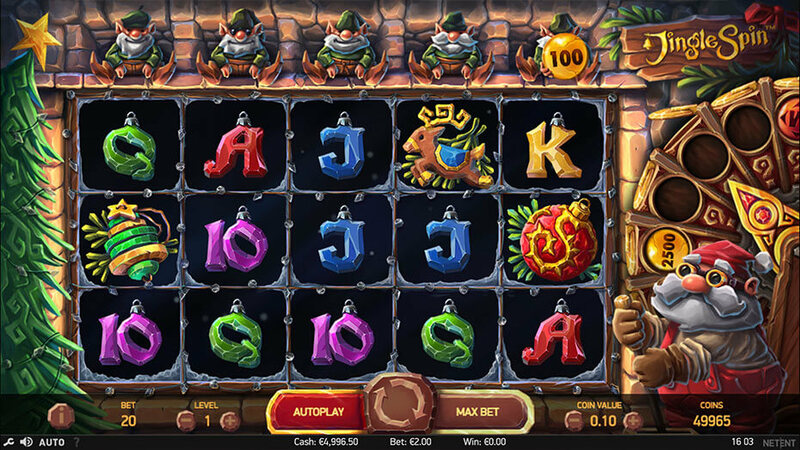 By the end of November, NetEnt is already preparing us all for the Christmas with the Jingle Spins, a video slot full of Christmas decorations, bells, colourful lamps, and green Elves. The whole lot for a merrier season. Not to be missed. Keep an eye on our website for more special releases, NetEnt slots, Play‘n GO slots, tournaments and amazing promotions made exclusively for you. See you at EnergyCasino.